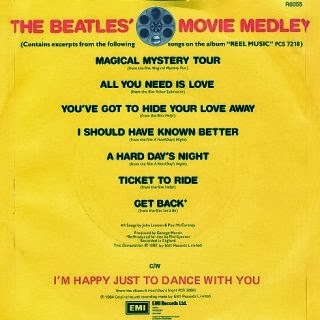 "The Beatles' Movie Medley" (YouTube link, sound only) is a compilation of snippets from various Beatles songs. It remains the only Beatles single not released on CD. The single peaked at #12 on the Billboard Hot 100, and #10 on the British charts in 1982. 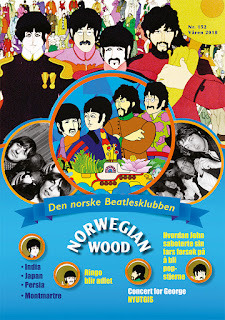 The songs were chosen from the Beatles' films, A Hard Day's Night, Help!, Magical Mystery Tour, Yellow Submarine and Let It Be. 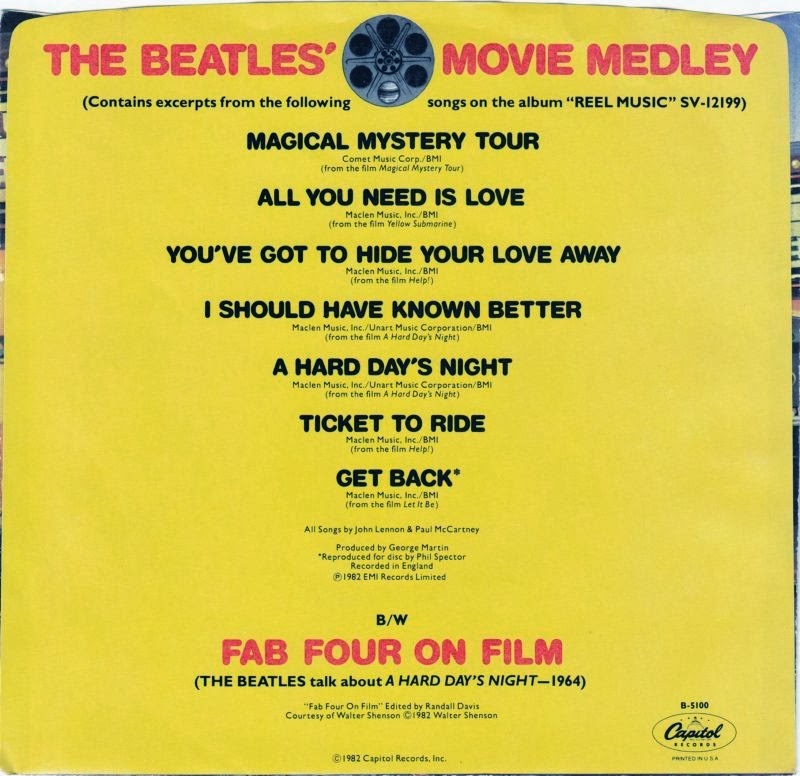 The songs included in the medley are "Magical Mystery Tour", "All You Need Is Love", "You've Got to Hide Your Love Away", "I Should Have Known Better", "A Hard Day's Night", "Ticket to Ride" and "Get Back". The medley was the first of two singles charting in the 1980s credited to the group (the other being a recharting of "Twist And Shout" in 1986). Stars on 45 was a Dutch novelty pop act that was briefly very popular in the United Kingdom, throughout Europe, the United States and Australia in 1981. The group later shortened its name to Stars On in the U.S., while in the U.K. and Ireland it was known as Starsound. The band, which consisted solely of studio session musicians under the direction of Jaap Eggermont, formerly of Golden Earring, popularized the medley, by recreating hit songs as faithfully as possible and stringing them together, with a common tempo and relentless underlying drum track. The point was to provide a danceable disco record which used familiar tunes—a technique that was also used in the Hooked on Classics series of recordings released by RCA Records and K-Tel Records. The inspiration for that again, was a bootleg. 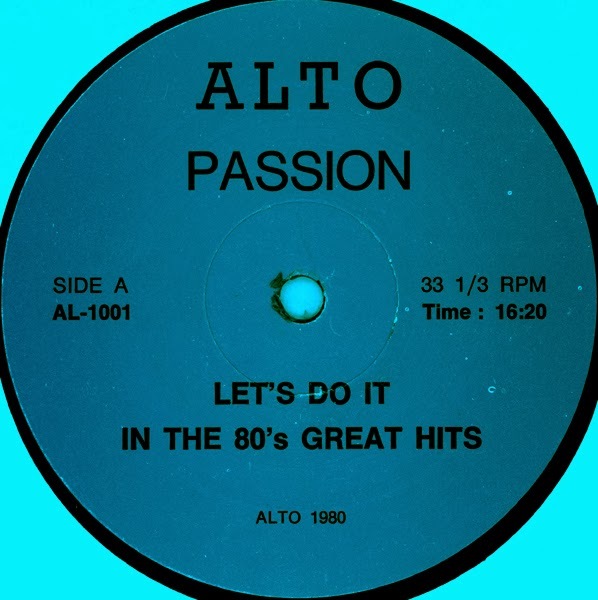 A 12-inch single called "Let's Do It In The 80's Great Hits" (YouTube link), credited to a non-existing band called Passion and issued on a non-existing record label called Alto was making it's round in discos. 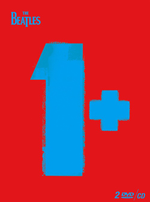 The 12"-single or "maxi-single" was an LP sized single, popular from the late seventies and throughout the eighties and nineties, usually containing a longer edit of the song in question than the one on the corresponding normal 7" single. The medley had its origin in Montreal, Canada, and it was later revealed that it was the work of one Michel Ali together with two professional DJ's; Michel Gendreau and Paul Richer. Gendreau and Richer both specialised in the art of "splicing", stringing together snippets of music from different genres, in varying keys and BPM's and from different sound sources, at this time still predominantly from vinyl records. 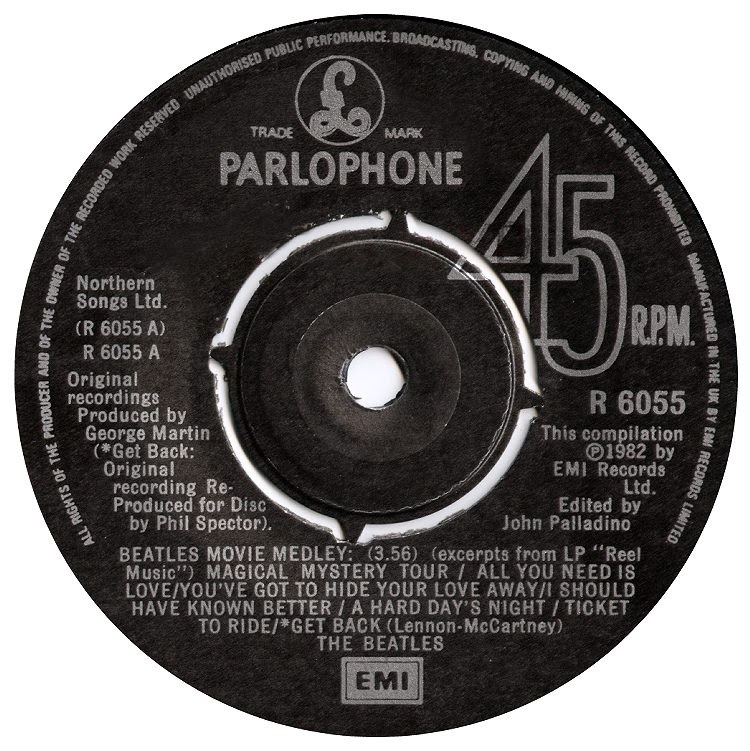 The first version of the medley was eight minutes long, included parts from some twenty tracks of which only three were by the Beatles; "No Reply", "I'll Be Back", and "Drive My Car". 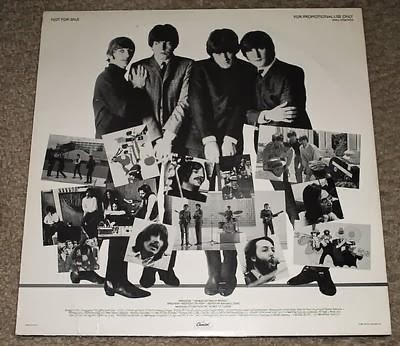 A later extended, 16-minute, 30-track mix of the same medley labeled "Bits and Pieces III" added another five Beatles titles: "Do You Want to Know a Secret", "We Can Work It Out", "I Should Have Known Better", "Nowhere Man" and "You're Going to Lose That Girl". With the bootleg recording obviously already circulating in dance clubs on both sides of the Atlantic, Willem van Kooten, managing director of the Dutch publishing company Red Bullet Productions and owner of the copyrights to "Venus" (another song exploited by the bootleg single) , decided to "bootleg the bootleg" and create a licensed version of the medley by using soundalike artists to replicate the original hits. The Beatles soundalikes were established Dutch singers. John Lennon's parts were sung by Bas Muys of the 1970s Dutch pop group Smyle. Paul McCartney's and George Harrison's parts were sung by Sandy Coast frontman Hans Vermeulen and Okkie Huysdens who had worked with Vermeulen in the band Rainbow Train. Apart from the recreated songs, an original chorus and hook written by Eggermont and musical arranger Martin Duiser called "Stars on 45" was added at intervals to help string differing sections together. The '45' in the title refers to the playback speed of a vinyl record single — 45 rpm, such singles were often simply called "45s". The female vocalist in the chorus was session singer Jody Pijper and later recordings also featured uncredited vocals by Dutch 1970s star Albert West and Arnie Treffers of rock revival band Long Tall Ernie and the Shakers. The Stars on 45 recordings were made before the birth of digital recording technology, which meant that each and every song was recorded separately and the different parts were subsequently manually pieced together with a pre-recorded drumloop, using analog master tapes, in order to create the segued medleys. The specific drumloop heard on most Stars on 45 recordings is often referred to as the "clap track", due to its prominent and steady handclaps. The first such release was a 9:45 long 12" single (YouTube link), issued in the aftermath of the so-called anti-disco backlash, and was released on the (at the time) minor label CNR Records in the Netherlands in December 1979. 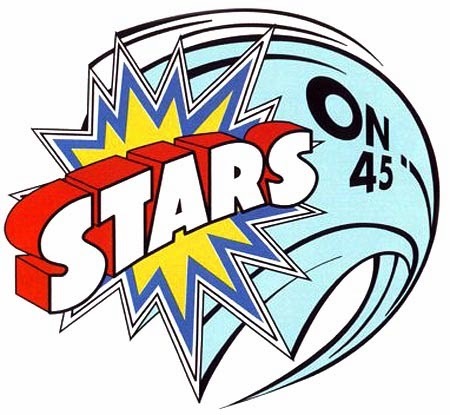 The single was simply entitled "Stars on 45" by Stars on 45, with no credits on the label or the cover as to who actually sang on the recording. When Dutch radio stations began playing the four-minute, eight-track Beatles segment of the medley, placed in the middle of the original 12" mix, an edited 7" single with the Beatles part preceded by "Venus" and The Archies' "Sugar Sugar" was released and hit the #1 spot of the Dutch singles charts in February 1981. A few months later it also reached #2 in the UK, where it was released by the British subsidiary of CBS Records and credited to 'Starsound'. Shortly thereafter Eggermont created the first Stars on 45 album, Long Play Album, issued with an equally anonymous album cover and featuring a 16-minute side-long medley of Beatles titles. 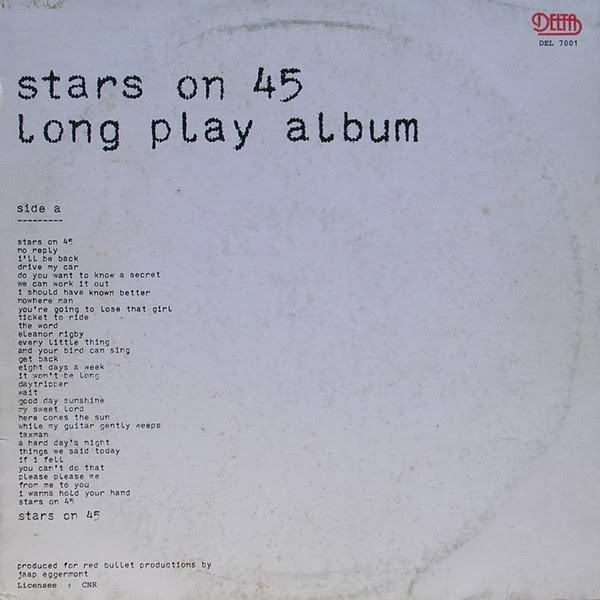 The Stars on 45 Long Play Album (US title: Stars on Long Play, UK, Ireland, Australia and New Zealand: Stars on 45 - The Album) also became a massive seller worldwide, topping both the UK and Australian album charts, it was a Top 10 hit in most parts of Europe and also reached #9 on Billboard's album chart in the US. A second Beatles medley went to #67 on the US charts. Of course, due to the popularity of a soundalike Beatles medley, Capitol Records saw $$'s disappearing and needed to release a Beatles medley of their own, but with the real McCoys Beatles. Capitol Records first issued the single in conjunction with the album Reel Music. 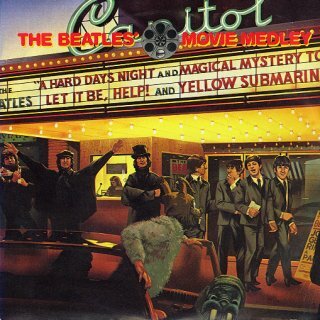 The Beatles Movie Medley was released in the US as Capitol B-5107. Parlophone Records initially refused to issue the single in the UK, regarding the medley as "tacky". But after the import demand for the U.S. release grew, it was finally issued as Parlophone R6055. 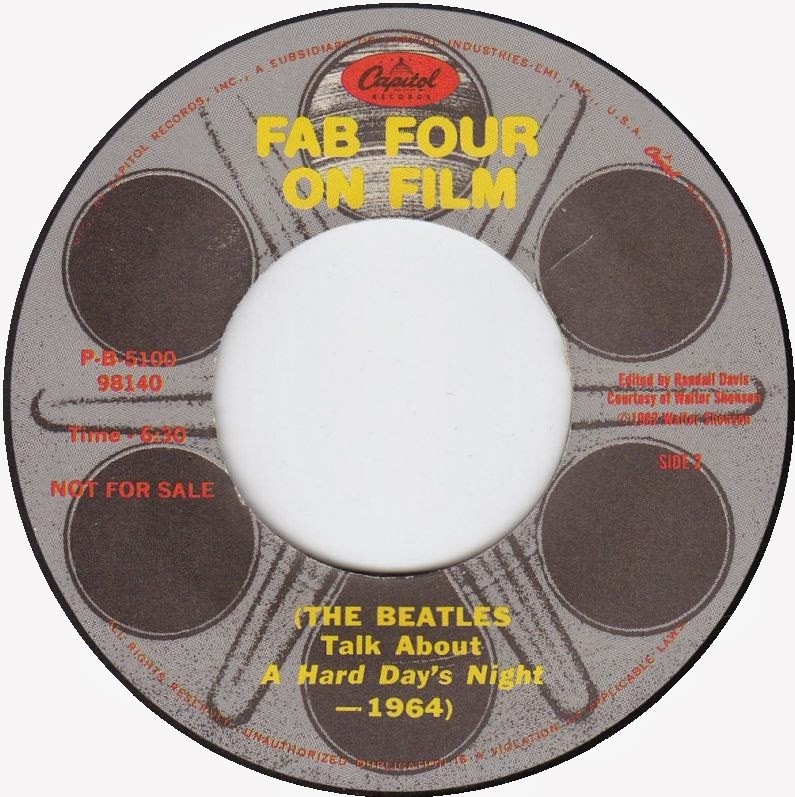 The original flip side was an interview with the Beatles about the making of the movie A Hard Day's Night, titled "Fab Four On Film Interview" (YouTube link). Later, it came out with "I'm Happy Just to Dance with You." The single with the former flip side is considered quite rare and valuable. 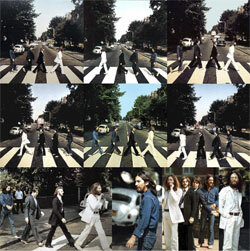 A music video was also made, utilizing scenes from the Beatles' movies and the "Our World" broadcast. They're quite right to want to forget about this (whoever THEY are :). This should never be issued on CD. In fact, when time-travel is invented, this record should be prevented from being made by Capitol. Don't forget that "Rupert and the Frog Song" was the #1 selling children's video cassette of 1985 ;-) The UK press all seems to have taken this song too seriously, it was made for kids, not grown up critics! It went down famously with my son, as did the Thomas the Tank Engine" series!